Cadenza Records is proud to announce the arrival of its digital-only offshoot: Cadenza Lab. Cadenza Lab marks the evolution of one of the world’s most respected electronic music labels. With an impeccable reputation based on releases from the finest producers on the planet including Reboot, Ricardo Villalobos, Thomas Melchior, Guy Gerber, Loco Dice and Rhadoo, Cadenza has consistently been at the forefront of dance music culture. Now Cadenza Lab gives music fans more of what they want: instant access to incredible new music from Cadenza artists. Designed for DJs and music lovers alike, Cadenza Lab means more new music from Cadenza favourites including Luciano and Mirko Loko, delivered through all major download platforms including Beatport, Juno, and Whatpeopleplay. 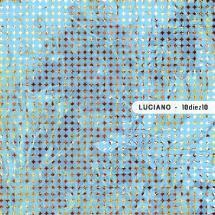 Written and produced by Lucien Nicolet for Cadenza Lab.